Oneupweb | E-Commerce on Facebook: Fool's Gold or Goldmine? E-Commerce on Facebook: Fool’s Gold or Goldmine? Let’s call out the Facebook e-commerce elephant in the room; people are not spending time on Facebook to shop for your products. I know, I know, your ads are awesome. Your copywriter used to write for Spin magazine and Oprah. Your landing pages have one call to action, and it’s absolutely compelling. But the reality is that more people are on Facebook to get to know Shakira (Mashable said it best…Her ‘likes’ don’t lie), and Facebook wasn’t even born out of a desire to sell stuff. Yet with over a billion people using Facebook, and over 30 million businesses with active Facebook Pages, the question isn’t whether or not your e-commerce business should be using Facebook, the question is how. 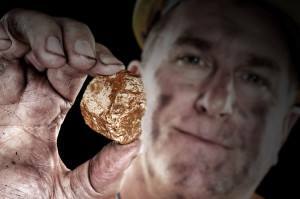 How can your business use Facebook to discover an e-commerce goldmine, instead of a pile of fool’s gold? Let’s be honest, even if the roots of Facebook aren’t in e-commerce, along the way Facebook has learned how to make money helping you sell stuff. We are now in a position where today’s e-commerce challenges include understanding the multiple options Facebook offers for advertising, soberly managing the sense of urgency that comes with deciding whether or not to use the options offered, and taking the time required to understand metrics and reporting without succumbing to what I call the “cute guy/girl syndrome.” Meaning, every time the cute guy/girl (Facebook) smiles (insert relevant metric/opportunity), you know beyond a shadow of a doubt you are destined to have a serious relationship (dolla’ bills y’all). With Facebook ad targeting, you can choose audiences for your ads, based upon where they live, demographics, interests, and behaviors. For example, if you own a business selling wedding cakes, and you want to serve ads to females between the ages of 18-25, who live in Traverse City, Michigan, who like Shakira, and are engaged…you can do that! A new feature being tested on mobile and desktop, allows people to click a “Buy” button on ads and page posts to purchase a product directly from a business, without leaving Facebook. It’s so easy! Reach current and potential customers with a Facebook ad by uploading a list of contacts, and allowing Facebook to generate a custom audience list. For example, create a list of people who have visited your website, but didn’t make a purchase, and then serve them a unique promotion. Sound like great opportunities, don’t they? Of course! At Oneupweb we’re definitely not against helping you use Facebook for e-commerce. You should consider using these opportunities. For example, new right hand column ads may drive up cost-per-click, but they should also result in a higher click-through-rate. Meaning, we can use the larger real estate to create amazing ads, and manage campaigns with great results, such as an increase high quality clicks leading to sales. The question is how to use Facebook for e-commerce wisely. And the starting place is learning to use Facebook in a way that not only complements your overall e-commerce game plan, but focuses upon leading your e-commerce efforts with research. Proper research allows you to create a treasure map leading to a Facebook e-commerce goldmine. Why? Because e-commerce purchases are often planned purchases, making it absolutely necessary for brands to know their customers well. You must do your homework when it comes to understanding Facebook, how it relates to your potential customers, and can be incorporated into your other e-commerce activities. You can do so by taking the time to actively monitor Facebook, looking for ways to influence customers as they are beginning to make a purchase. Take the time to ensure that your Facebook page includes compelling information that is going to help lead a person to the point of purchase. Finally, take the time to actively lead and participate in conversations about your brand and industry. 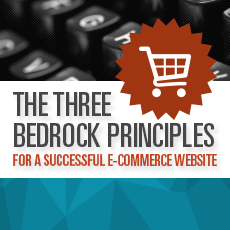 These are only a few ways that you can begin to use Facebook wisely for e-commerce. Yet we feel this topic is so important that we wrote a white paper discussing it further. I challenge you to take 10 minutes to read our white paper, and if you find the information compelling, and you’d like further help, take 3 minutes to send me an email at jyaple@oneupweb.com. We’ll make sure your questions find answers…and we would love to lead your brand’s Facebook e-commerce to a goldmine filled with results.